Despite selling 26 million iPhones and 17 million iPads in the three month period from April to June, Apple’s second quarter financial figures were considered a disappointment, falling short of Wall Street expectations. Apple stock took a nasty knock in after-hours trading, dropping to $567 from $600. Sales of the the Cupertino company’s iPhone marked a 28 percent increase on the same time last year, though it was significantly down from the previous quarter when it sold 35.1 million handsets. The iPad fared better, exceeding expectations, selling just over five million more tablets than it did in the January to March period of this year. The company also sold 6.8 million iPods, down 10 percent on the same period a year ago, and 4 million Mac computers, up 2 percent on a year ago. 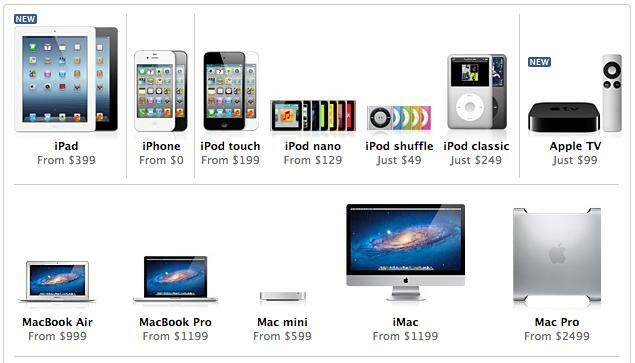 Apple executives blamed the fewer-than-expected sales of its iPhone on consumers holding off purchasing an iPhone 4S as they wait for the launch of the so-called iPhone 5, expected in the fall. The sluggish world economy was also thought to be a factor. “The economy in Europe is not doing well. We think this impacted our results,” Apple’s chief financial officer, Peter Oppenheimer, said in a conference call with analysts on Tuesday. The figures also can’t have been helped by the fact that competitors, such as major rival Samsung, are now producing high-end phones that are getting increasing attention from consumers. The Korean company’s recently released Galaxy S3 device, for example, has sold more than 10 million units in less than two months. The critically acclaimed Android-powered handset, with its large screen, lighter and thinner design, and face-recognition technology, has left Apple in the rare position of playing catch-up with its not-yet-released iPhone 5. Apple’s next quarterly announcement will cover the period July to September. Get its next-generation iPhone on the market in September and it can expect to see improved figures in its next report. Leave it till October, however, and no doubt sales of its current 4S handset will be further suppressed by those waiting for the new device, leading to a disappointing quarter. No doubt Tim Cook and his team are working hard for a September launch.